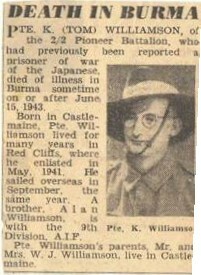 Background : Son of William John and Anna Druzilla Williamson, of Castlemaine, Victoria, Australia. Brother of Alan Williamson (9th Division, A.I.F. ).